Banners help capture the spirit of the "championship season" and are the perfect method to display your schools accomplishments. 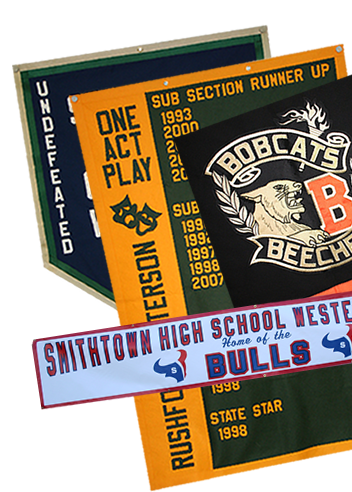 Complement your gymnasium with conference membership mascot banners, school song or a sportsmanship message banner. We have some great ideas to help you decide which banner product will best meet your needs. Use banners to reinforce a positive message, welcome visitors to your school and create school spirit.